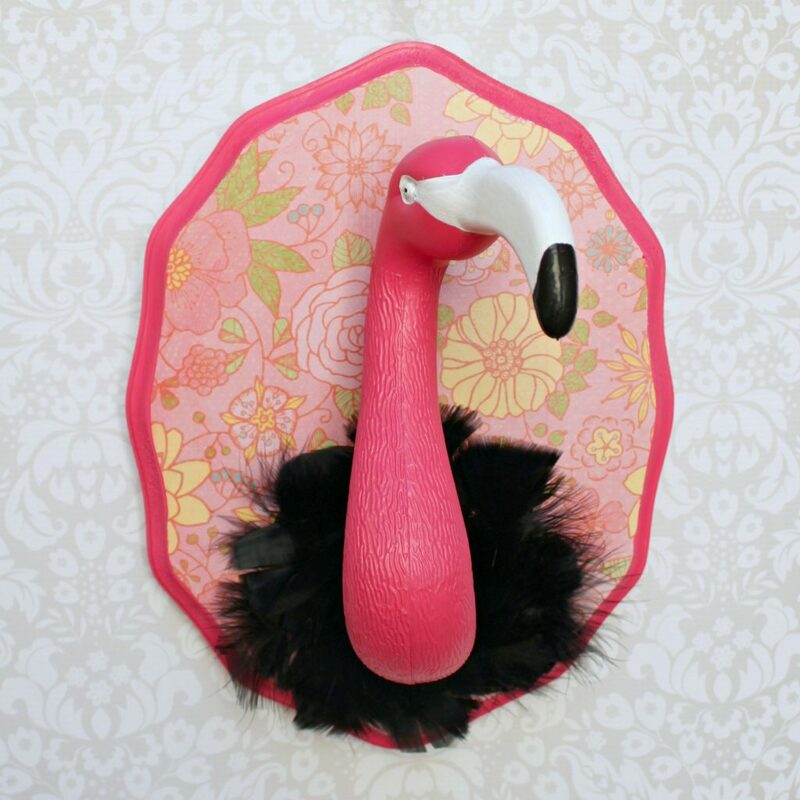 Make flamingo trophy art to add a pop of crazy color to your walls this summer! I’ve been obsessed with flamingos. My daughter is, too. You might remember the flamingo mobile I made last year. Or my flamingo nail art. Or the flamingo themed party my daughter and I planned for her 7th birthday. 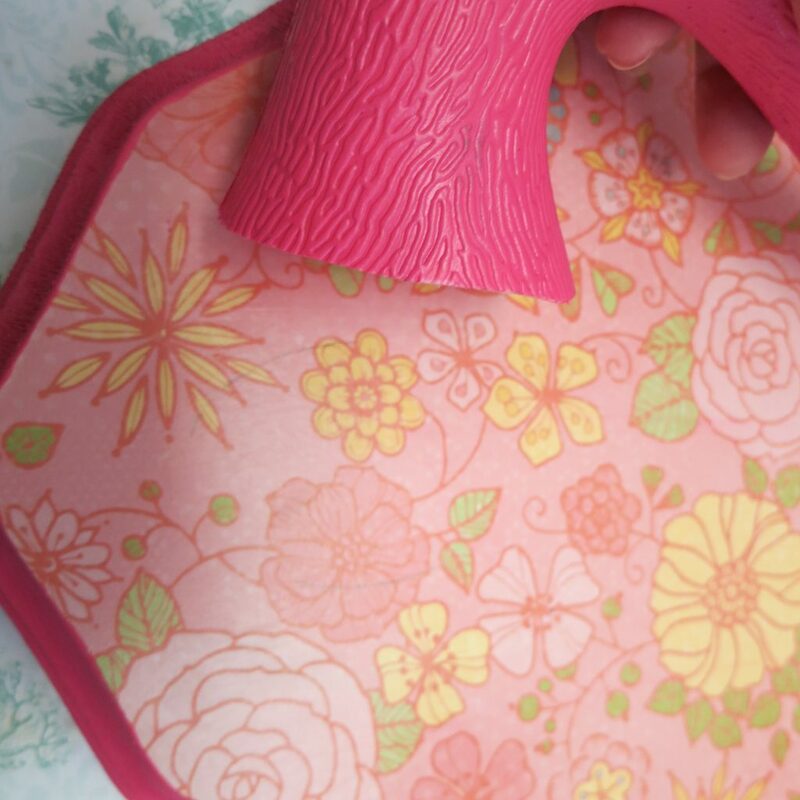 Here’s another really fun project: flamingo trophy art! 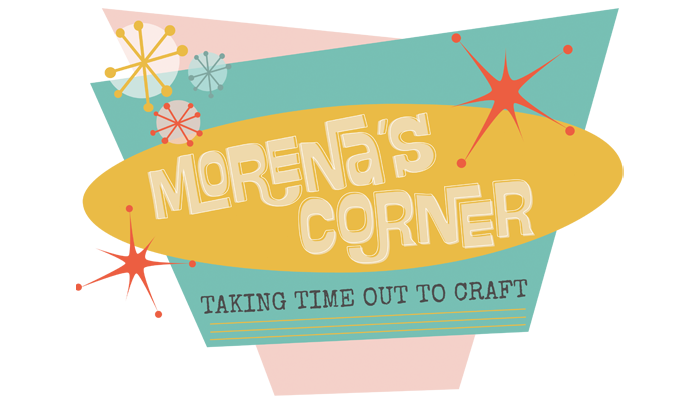 I made this project for DecoArt and now I’m sharing it with you here. 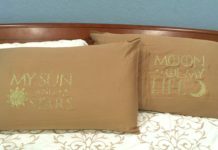 I hope you love it as much as I do! 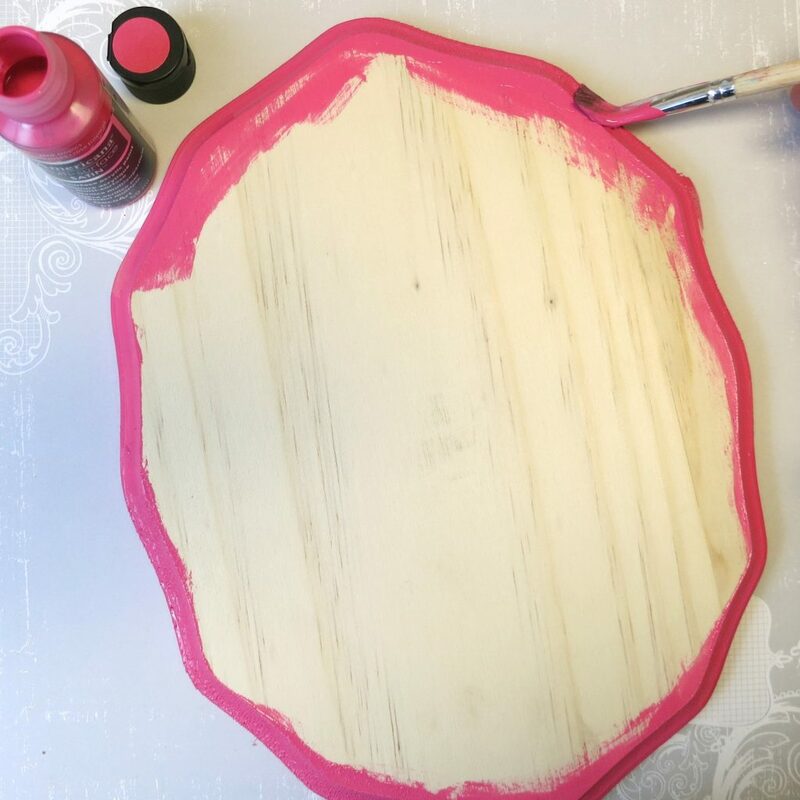 Step one: Paint the sides of the wood plaque with Americana Pink Tropics paint. Let the first application dry and then paint a second layer of paint over it. 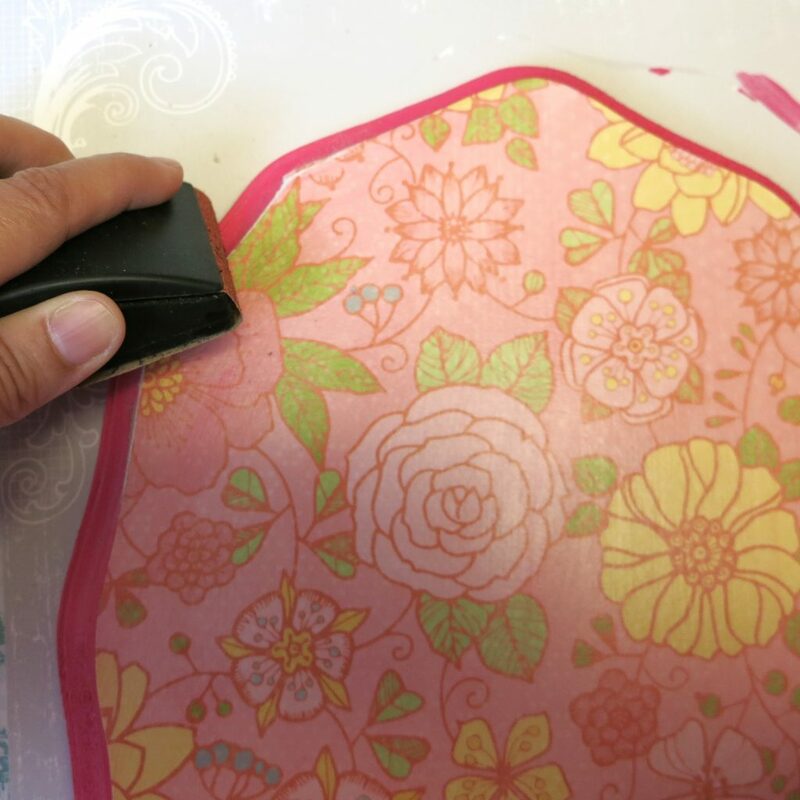 Step two: Trace and trim a piece of flowered patterned paper to fit the front of the plaque. 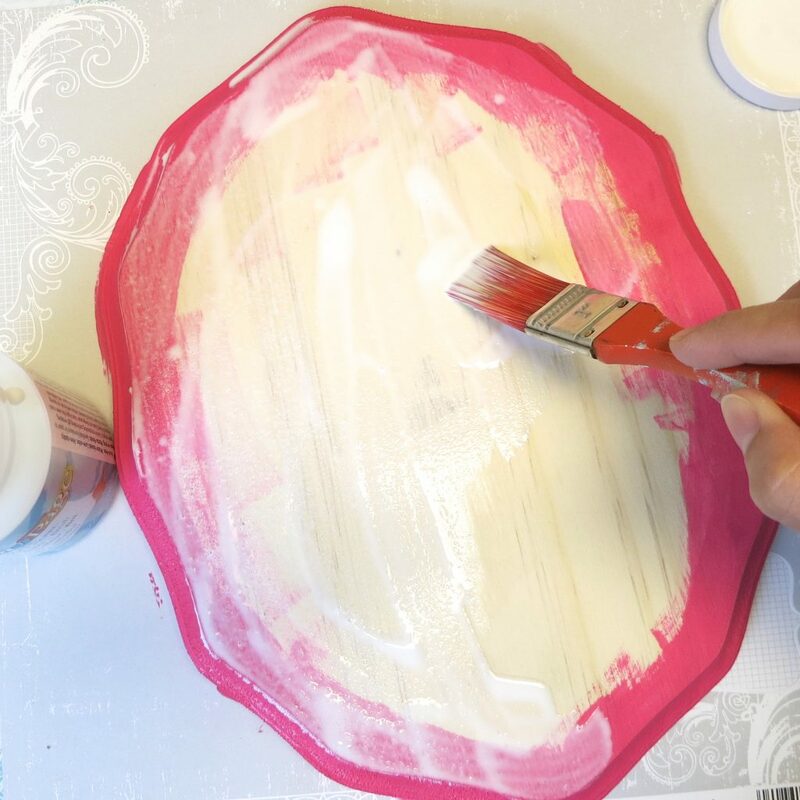 Step three: Paint the surface of the plaque with an even layer of Decou-Page. 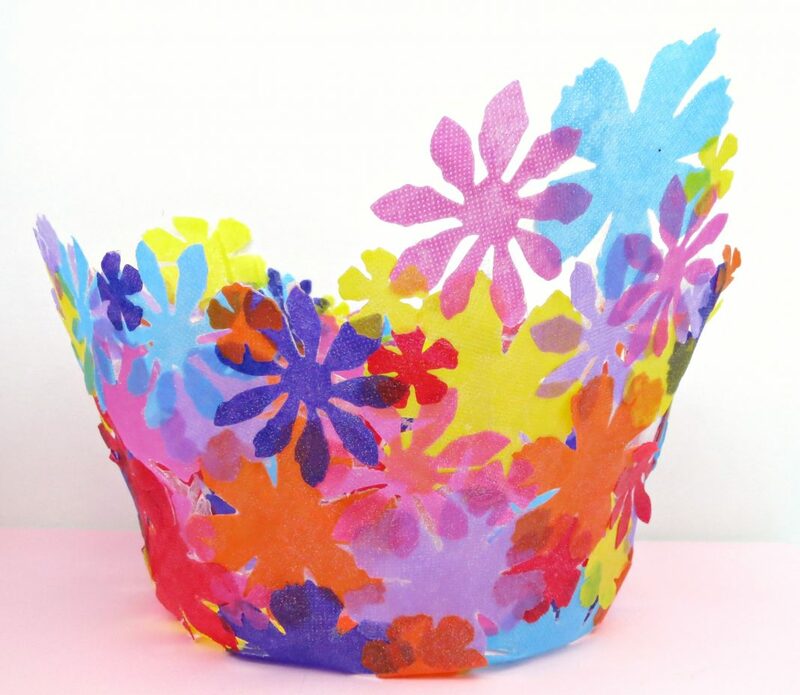 Place the paper on top and smooth out any air bubbles. 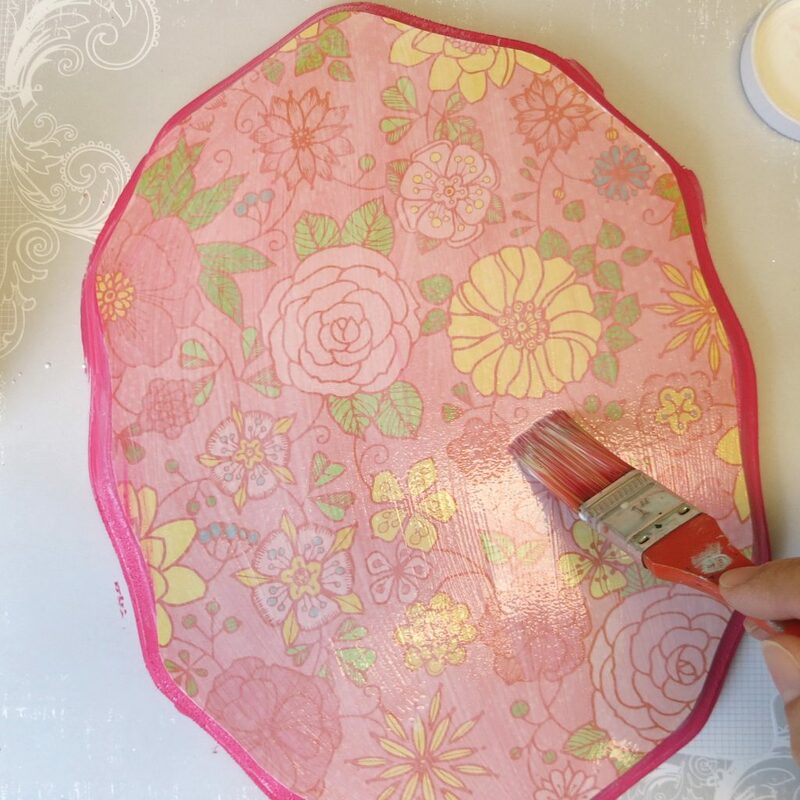 Paint over the paper with Decou-Page, and let it dry completely. Step four: Gently sand the edges of the paper to remove any excess paper. 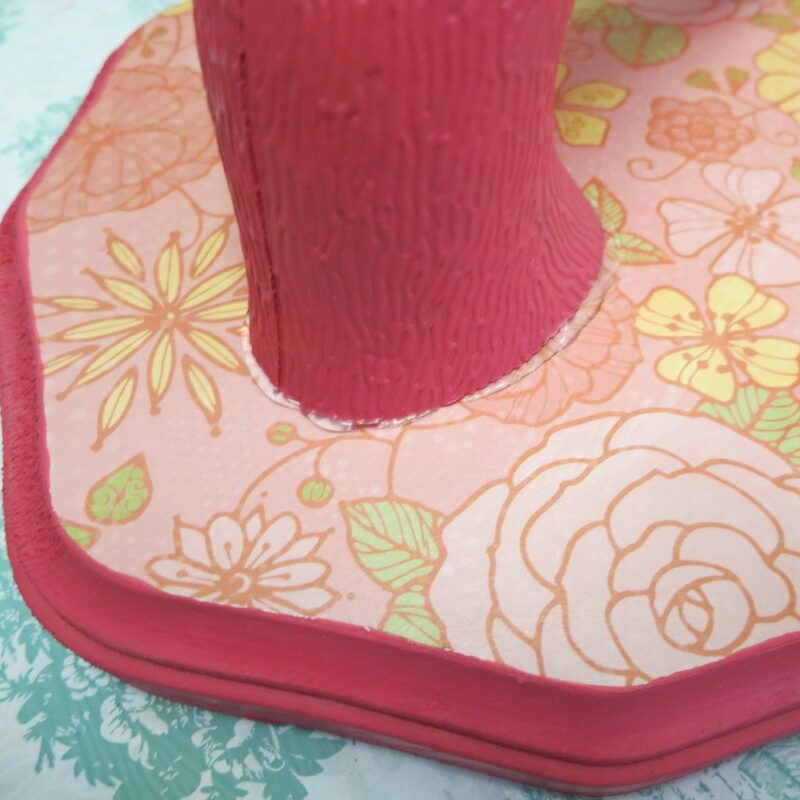 I didn’t want a white edge showing so I touched up the sanded edges of the paper with pink paint. 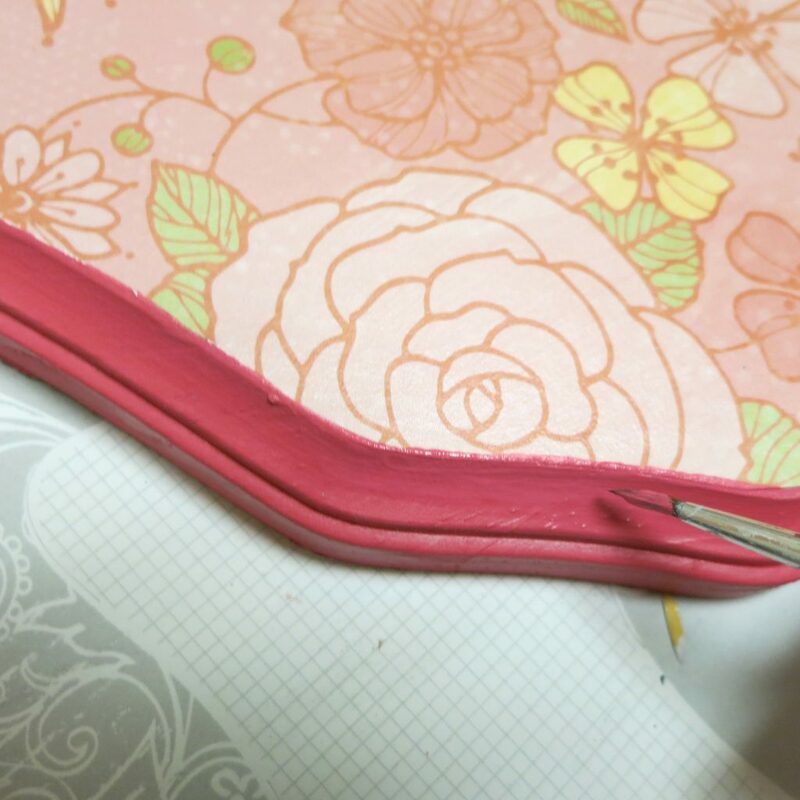 Note: I like to seal the front of the paper with Decou-Page before I sand the edges because the paper is less likely to tear this way. 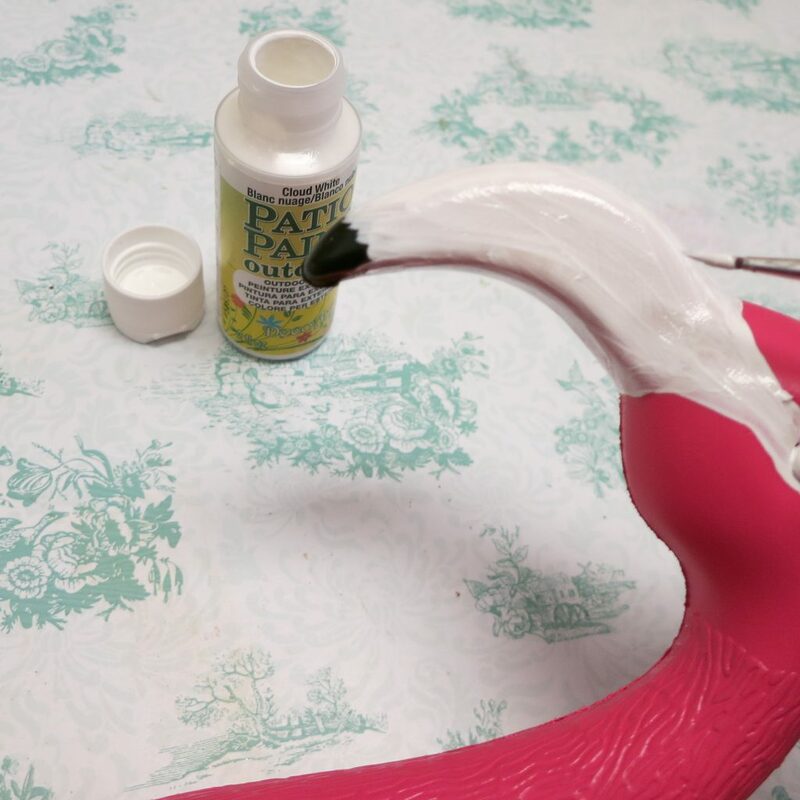 Step five: Paint the flamingo’s neck and head with Americana Pink Tropics paint. I think this gives the plastic finish a nicer tone and a more matte look. Step six: Paint the eyes and beak with Cloud White Patio Paint. Let the first application dry and then paint over it again. 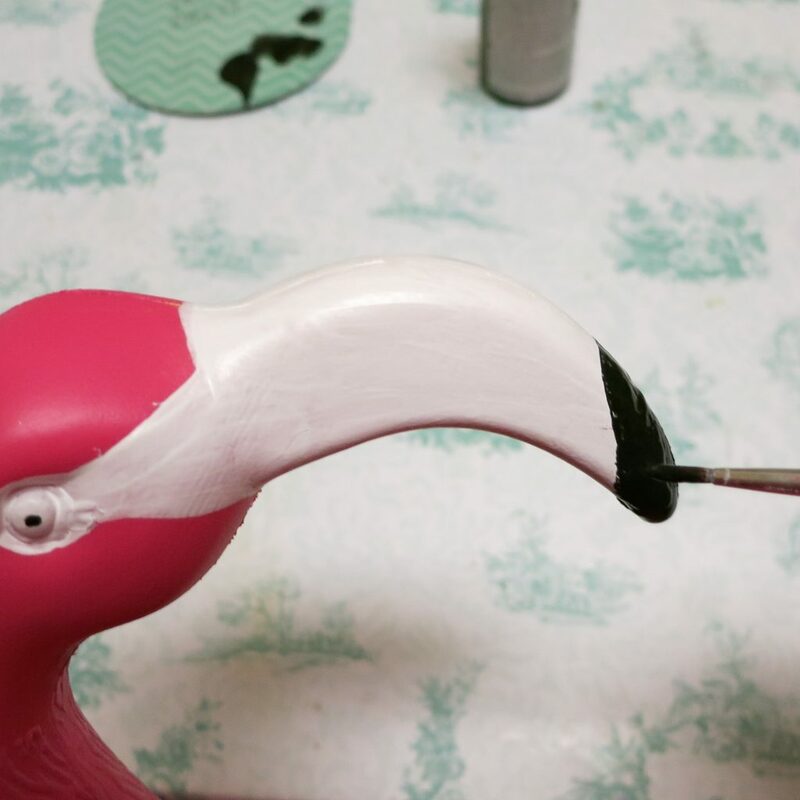 Step seven: Paint the end of the beak with Americana Black Tie paint. Also add a black dot to each eye. 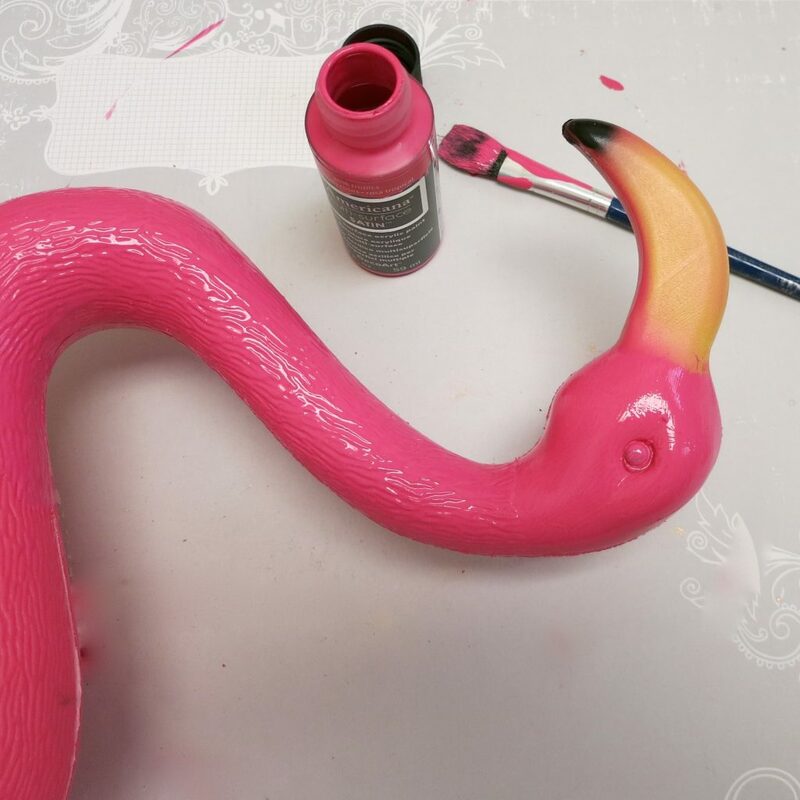 Optional: Seal the painted flamingo with American Matte Spray Finish. 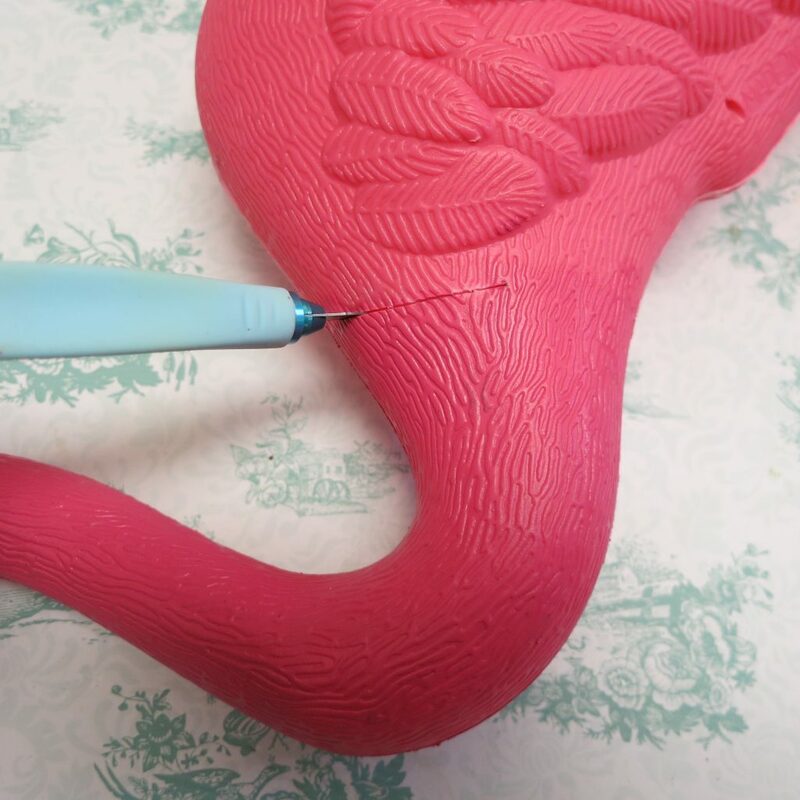 Step eight: Use a craft knife to cut into the base of the neck of the plastic flamingo. 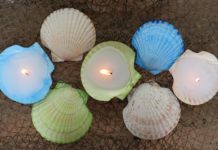 The plastic is thin and easy to cut, just be careful! Step nine: Attach the neck onto the plaque with E-6000. I use a bit of hot glue to hold the piece in place while the E-6000 dries. 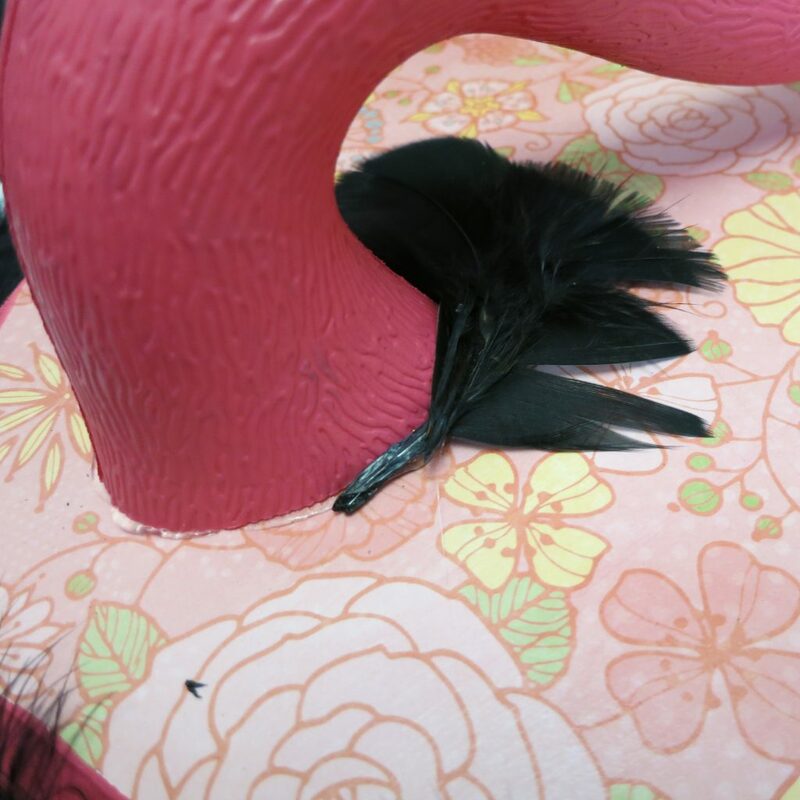 Step ten: Hot glue feathers around the base of the neck. 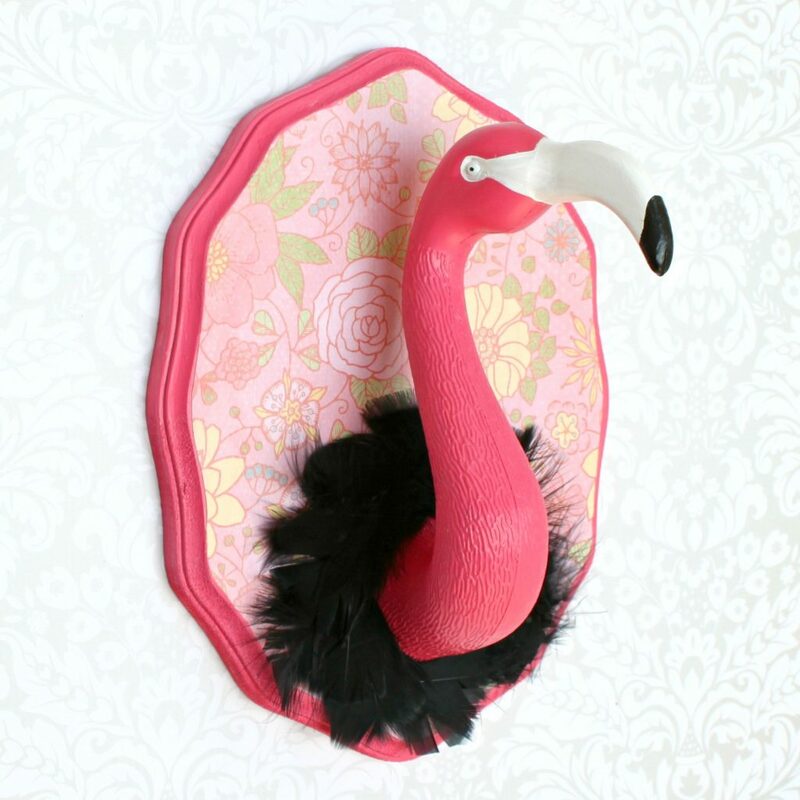 Have fun displaying your flamingo trophy art! 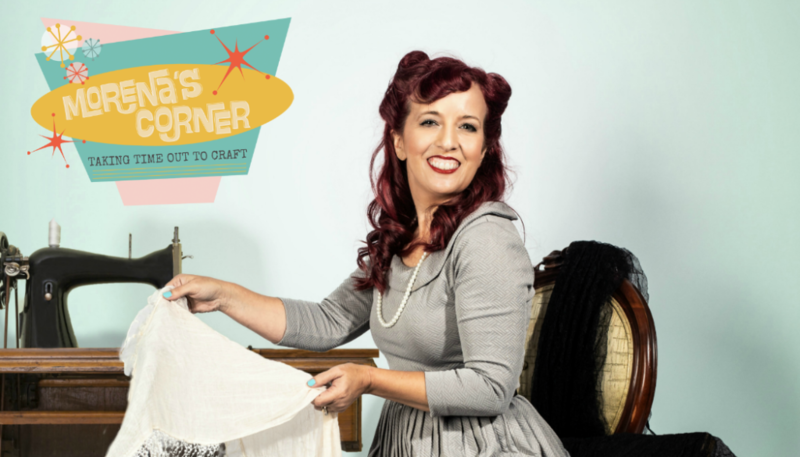 No animals were harmed in the making of this project! I love my furry and feathered friends!